Does anyone have any information on princess marie of baden who married the scottish duke of hamilton? Any pics or bios? She was the daughter of GD Karl Ludwig Friedrich and Stephanie de Beauharnais. She married William Alexander Anthony Archibald Hamilton, 11th Duke of Hamilton on 23 February 1843 at Ducal Palace, Mannheim Germany. (BTW--I lived at Mannheim for 3 years! ) and became Duchess of Hamilton upon her FIL's death in 1852. She converted to Roman Catholicism in 1855. Does anyone have her portrait or the portrait of her daughter who married Monaco Prince and after if I am not mistaken Count or Prince von Thun und Hohenstein? William Alexander, 11th Duke of Hamilton (1811-1863), married Princess Marie of Baden, and, on her mother's side, a cousin of Napoleon III. The title of duke of Châtellerault, granted to his remote ancestor in 1548, and claimed at different times by various branches of the Hamilton family, was conferred on the 11th duke's son, William Alexander, 12th Duke of Hamilton (1845-1895), by Napoleon III in 1864. His sister, Lady Mary Douglas-Hamilton, married in 1869 Albert, Prince of Monaco, but their marriage was declared invalid in 1880. She then married Count Tassilo Festetics, a Hungarian noble. The 12th duke left no male issue (both sons dying w/o issue) and was succeeded in 1895 by his kinsman, Alfred Douglas, a descendant of the 4th Duke. Duke William died in 1863 at the age of 52 after falling down the stairs of the Maison Doree on the Boulevard des Italiens in Paris. QV wrote to Vicky that 'how shocking too is the Duke of Hamilton's death! He had I fear been drinking too much in a cafe at Paris! Poor thing, I feel so much for her!' He had apparently a very dignified demeanor and was called the 'very duke of very duke'. He was succeeded by William Alexander Louis Stephen, 12th Duke of Hamilton, who was born in 1845. When he came of age, it was said that there are few positions in life more influential and more desirable than that which is occupied by the youthful heir of the house of Hamilton. The young Duke apparently enjoyed life in France (as his mother was the Emperor's cousin) and led a rather dissolute lifestyle. Marie's brother William was once thought of as a husband for Princess Alice and his arrival in England caused QV some alarm once Louis was in lead but fortunately he went straight to his sister's. 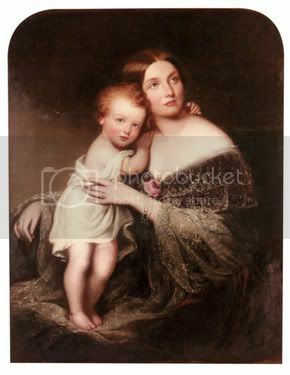 Marie of Baden Duchess of Hamilton with (I'm presuming her eldest son) She's very lovely! Another note on the 13th Duke. He held an auction through Christie's of the family's immense and famous art collection in 1882. This outraged Vicky since some of the items had been in England for generations and she felt it was 'unpatriotic' to put them on the open market without offering them to the British Museum to see if they'd be interested. She felt 'this extraordinary treasure ought not to leave England' and that it is 'a shame that England should be spoiled of such a treasure and I do not understand the British Museum and the Bodleian Library at Oxford not making an arrangement with the Duke...and his not having the right patriotism to offer his treasures to our own national collections before foreigners treat with him for them.' The sale eventually realized over GBP 400,000 and the National Gallery bought several items and QV herself bought a study of Edward VI by a pupil of Holbein as well as a copy of a Raphael of St George and the Dragon which had Charles I's mark on it. She wanted other items but they 'went too high'. Vicky still thought that England would regret 'in later years' allowing so much to leave. In the meantime the German government was attempting to buy the remainder and boasting of having he 'finest collections of England over here in a few years! I own I should be very sorry.' Indeed at the end of October it was announced that the Prussian Govt had secured the greatest part of the collection of manuscrips including a Dante that had agitated Vicky and even drawn the interest of Gladstone (then PM) and Botticelli and Vicky 'cannot but regret bitterly'. His sister, Lady Mary Douglas-Hamilton, married in 1869 Albert, Prince of Monaco, but their marriage was declared invalid in 1880. She then married Count Tassilo Festetics, a Hungarian noble. The 12th duke left no male issue (both sons dying w/o issue) and was succeeded in 1895 by his kinsman, Alfred Douglas, a descendant of the 4th Duke. Mary married twice. Her first marriage, on 21 September 1869, was to Prince Albert I of Monaco (the famous oceanographer--I saw his museum when I was in Monaco). They were divorced on 28 July 1880. They are great-grandparents of the current prince, Rainier III of Monaco (to be thought of now as he seems to be on the verge of dying). Her 2nd marriage, on 2 June 1880, was to Tassilo, Count Festetics von Tolna, an officer in the Austrian imperial guard, and their daughter, Maria Mathilde Georgine was born in 1881. They are great grandparents of Princess Virginia Carolina Theresa Pancrazia Galdina von Fürstenberg, known as Ira von Fürstenberg. Within a year of their marriage, the couple's only child, Louis was born, but the strong-willed 19-year-old Scots girl disliked Monaco and everything about it. Shortly thereafter, she left Monaco permanently and the marriage was annulled in 1880. Through his maternal grandfather, Prince Louis was related to the British aristocracy and through his maternal grandmother to the Royal Families of Belgium and Romania. Princess Caroline, Prince Albert's grandmother, was anxious for her grandson to make such an illustrious alliance. By Albert marrying Mary Victoria he would become, by marriage, a cousin to Emperor Louis Napoleon. Despite the fact that Lady Mary Victoria was considered to be a very lovely young woman Albert found her to be rather "empty headed". Mary Victoria, while finding Albert to be handsome, did not particularily like him. However, they were forced into marriage. 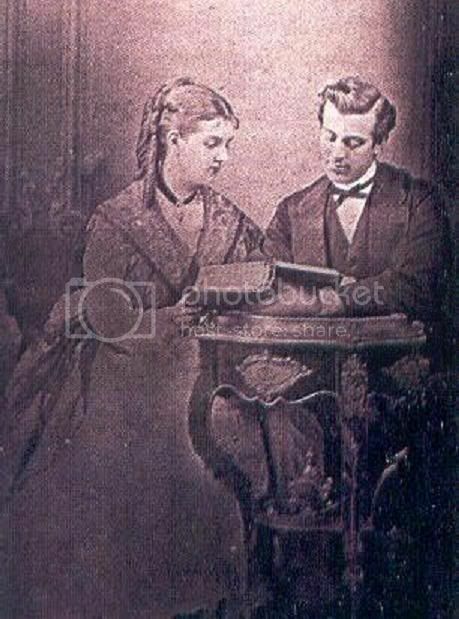 They were married September 21, 1869. The couple separated months before Louis was born in July 1870. In January of 1870 Mary Victoria, no longer able to cope with morning sickness and the gloominess of the palace, decided to leave Monaco with her mother, the Dowager Duchess, for Baden-Baden. It was there that Mary gave birth to her son Prince Louis-Honore-Charles-Antoine on July 12, 1870. She and Prince Albert were never reconciled and the marriage was dissolved when he in 1880 when Louis was 10. That same year, the former Princess of Monaco married in Florence, Italy to a Hungarian nobleman, Tassilo, Prince Festetics von Tolna, 1850-1933. They had a daughter, Maria, who would become the paternal grandmother of the fashion designer Egon von Fürstenberg and his sister Ira von Fürstenberg, a European B-movie actress, European socialite, jewelry designer, and a former public relations manager for the fashion designer Valentino Garavani who would later become a companion of her cousin Rainier III of Monaco. Great informations,GDElla-thanks for the picture also!I knew it was an Austro-Hungarian Prince that Mary Victoria married for the second time but made a mistake-I was quite lazy to chek it out!Do you have a picture of Mary Victoria?I was trying to find it everywhere but still nothing! Danjel,I can't see the picture maybe you erased it from your photobucket album like I did few times! Thanks very much!I have never seen any pictures or portraits of her! Thanks for the interesting articles on Princess Marie, a small query wasn't she born in 1817 rather than 1818? You're probably right. A couple sites I went to said 1818 but more said 1817 when I went back and checked. Plus I know you're a big geneaology person so I'd take your word for it. 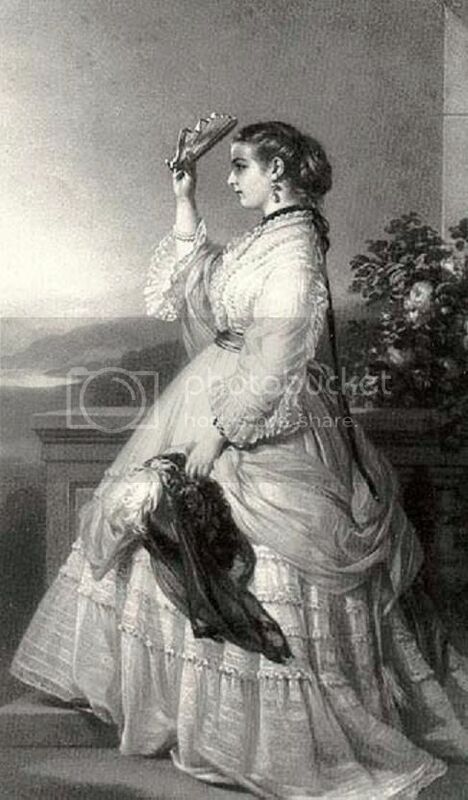 Was Marie of Baden acknowledged at Queen Victoria's court as Her Grace The Duchess of Hamilton, or as Her Grand Ducal Highness The Duchess of Hamilton? After their marriage the Duke and Duchess of Hamilton lived at Brodick Castle on the Isle of Arran. The Duke was very popular with the islanders and was known to them as Duke Douglas. The Princess-Duchess occupied herself by beautifying the natural scenery, having walks and drives created through the woodlands and other inaccessible areas. She improved the Castle gardens, including the vegetable garden, loving the roses that thrived in the island soil. The Princess erected summerhouses all over the area. In these the ladies could remain all day when the men were shooting, as each contained a little kitchen. At the Castle the Princess kept up, 'pomp and almost regal state'. Among the many visitors were Prince Louis Napoleon and the Duchess of Kent. When the castle was full the visitors' attendants had to sleep in the crofters' cottages. Queen Victoria was Godmother to Lady Mary giving her a miniature carriage which she drove around Brodick village. One of the summerhouses had a charcoal stove where, as a little girl she could cook omelettes for her parents' vistors. There were rumours that the Duke's death had been caused by Louis Napoleon. They had had a dispute when gambling. The Duke made a dignified exit from the room to avoid an unpleasant scene but Louis Napoleon followed him, 'and, it was surmised assaulted him violently'. The Princess-Duchess left Arran and the next Duchess was not interested in gardening. Therefore the summerhouse went to ruin and the flower gardens disappeared. Eventually the castle was shut up and the son of Princess Marie died on a yacht in Algiers. This information comes from the book 'Victorian Sidelights' which paints an idyllic picture of life on Arran at the time of the 11th Duke and his Princess-Duchess. There are paintings of both of them on this site.